New Show Booked. December 2, 2015 Cambridge Massachusetts. 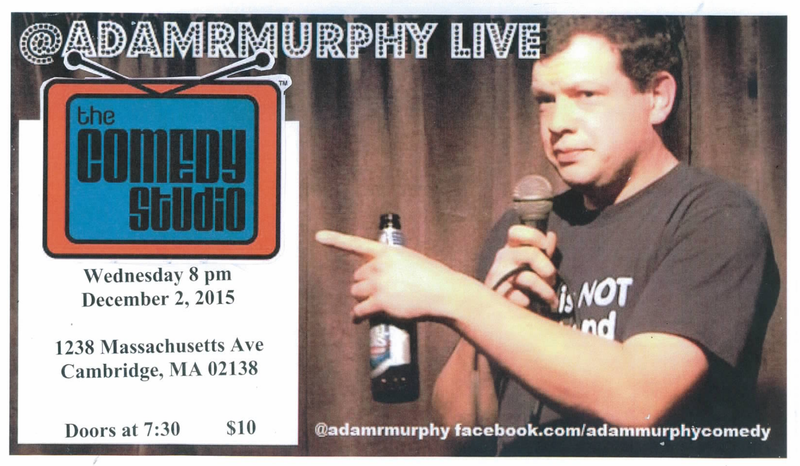 Adam is making his return to the Boston (area) Stage at the World Famous Comedy Studio in Cambridge Mass on Wednesday December 2 and will be telling jokes off his upcoming second CD #TOO. Show lasts from 8:00 to 10:00. Tickets are $10 online through Event Bright as well as at the door. Tickets are limited so be aware that they may sell out. They have a full bar with Scorpion Bowls, and a great menu full of native New England Chinese Food. After the show I will be hanging out in the 2nd floor bar for a while if anybody is around and wants to catch up.